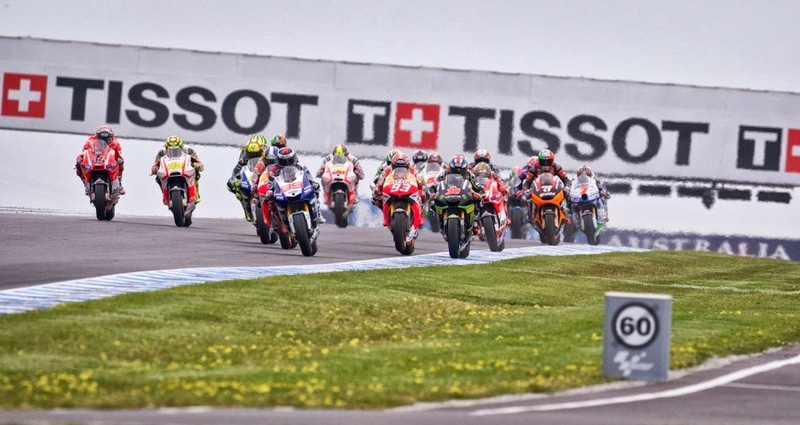 Today saw an action packed Phillip Island main race, in fact action packed is an understatement of note. We begin with the revised race format from race direction, largely thanks to Bridgestone, who were unable to guarantee their rear tyre post 10 laps. 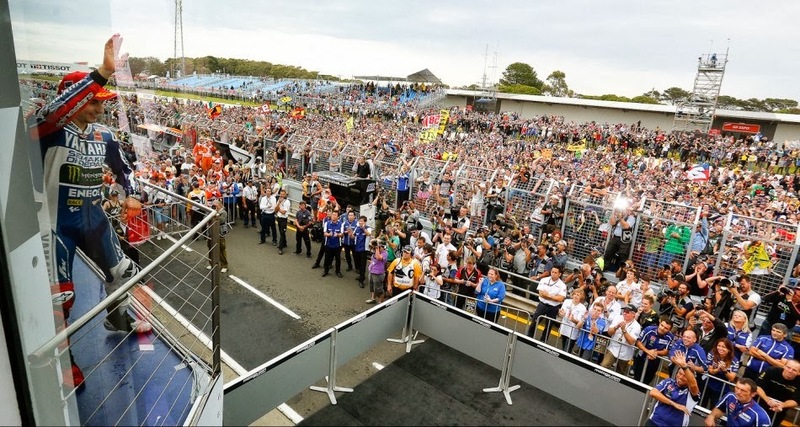 This is probably due to Phillip Island having recently been resurfaced. 1. The race distance will be 19 laps. 2. Every rider will be required to enter the pits and change to his second machine with fresh tyres at least once during the race. In normal circumstances this means that the rider must change machine only at the end of lap 9 or lap 10. 3. No rider is permitted to make more than 10 laps on any one slick or wet rear tyre. This means that a bike/tyre change before lap 9 will require a second bike/tyre change to finish the race. 4. The above procedure is valid for a dry race or a race that starts in wet conditions. Clearly in a wet race the rider will change to a bike with wet tyres. 5. If the race is started in dry conditions and it then rains the race will be stopped with a red flag. The restarted race will be for the number of laps required to complete 19 laps but with a maximum of 10 laps and a minimum of 5 laps. 6. Riders using “Factory” and “Satellite” machines will be required to use the “hard” option tyre (B51DR). Extra quantity will be allocated by Bridgestone. 7. Riders using CRT machines will be required to use CRT “hard” option tyre (B50DR). Extra quantity will be allocated by Bridgestone. 8. The pit lane speed limit zone will be extended both on entry and exit, and the exit route to rejoin the track will be marked by a white line in the runoff area. Crossing this line whilst rejoining the track from pit lane will result in a penalty. So as the race commenced, Lorenzo, Dani and Marc shot off to the front in usual fashion. Valentino was left trailing in 4th, he complained post race that his first bike was sliding alot. The race seemed destined to be a great from the set off with Lorenzo and Marc swapping places with Dani thrown into the mix for good measure. As the compulsory pit window approached everyone sat forward in their seats to try and figure out how these 3 would manage to slow the bike down to 60km/h and swap over bikes in the pit lane without colliding into one another. 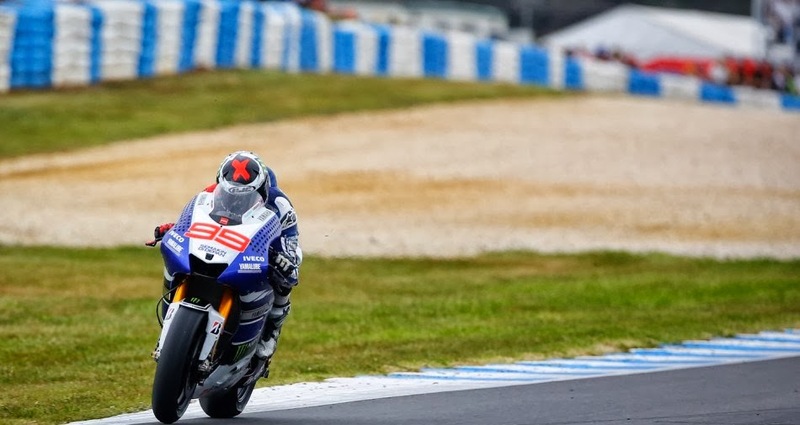 Riders had been practicing switching bikes before the race, with Lorenzo opting to leap off the bike before it came to a stop and throwing himself onto the second bike. But all of a sudden the threatening Honda’s started to fall apart with the revised rules come lap 9. As per the rules, you can either pit lap 9 or 10. 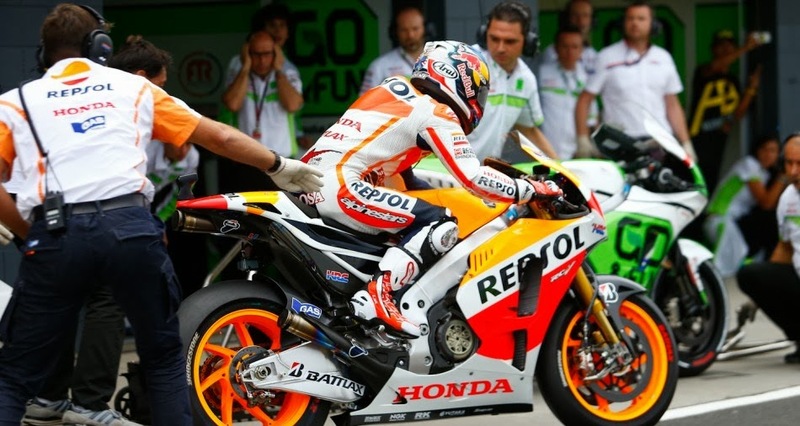 Lap 9 Dani Pedrosa came into the pits but Lorenzo and Marquez did not. However due to the extended pit lane speed limit zone, Dani was unable to slow the bike quick enough, resulting in an endo, followed by race direction issuing an order for him to drop a place. Come lap 10 whoever hadn’t stopped now had to, so in came the leader Jorge Lorenzo but Marc Marquez continued to blast around the track again, illegally. He took the lead and then came into the pits the following lap (lap 11) and upon exiting the pits Jorge and Dani were coming down the main straight at over 200mph. As a result Jorge and Marquez made contact in the first corner with Marc’s glove protection or brake guard coming off from the force of the impact. 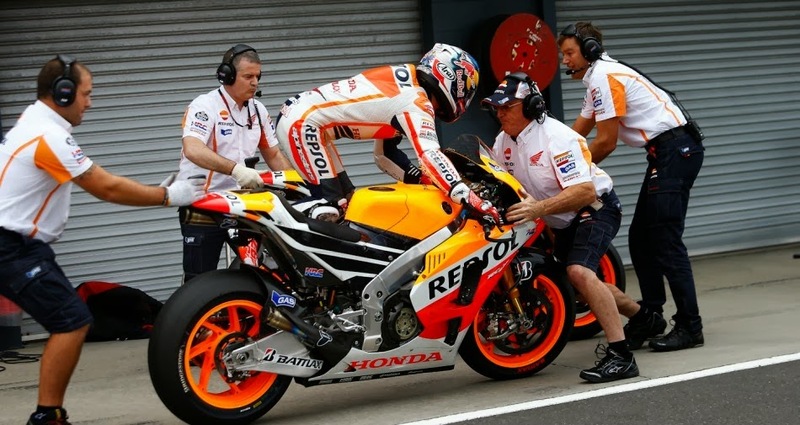 As a result Marc Marquez was black flagged and came into the pits. 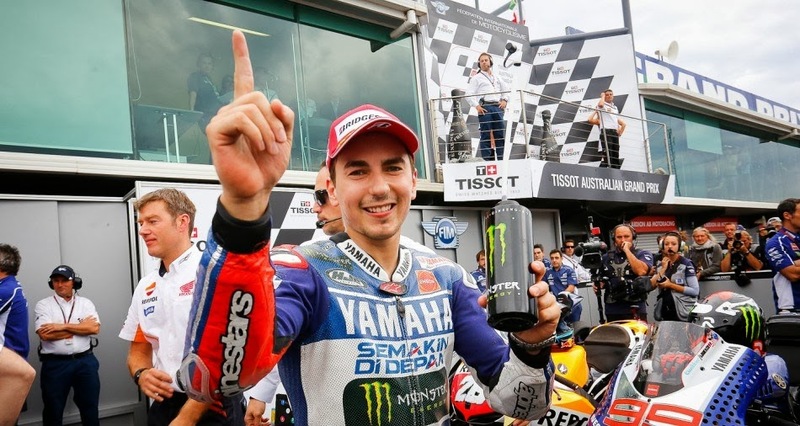 This means that Jorge continues to fight for the 2013 championship with two remaining rounds. Marc’s lead has been reduced from 43 points to 18. Bryan Staring also committed the same offence and was also black flagged. If this wasn’t enough Valentino Rossi had his hands full with Cal Crutchlow and Alvaro Bautista in a fantastic battle for third spot and indeed the rain did come but only on the final lap, making it that much more difficult to hold off rampant riders. If you missed the race, make sure you catch the highlights, it was definitely a great.